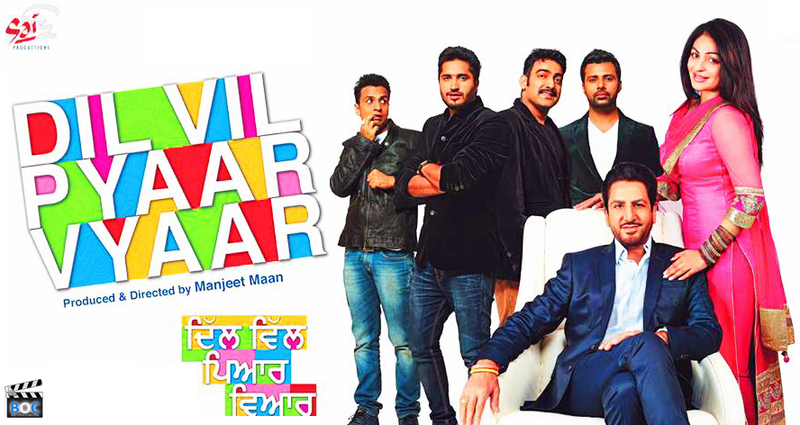 Dil Vil Pyaar Vyaar is the upcoming Punjabi family and drama movie. Here in this post we are sharing with you more interesting details about this film. This movie is going to hit the box office screens on 2nd May 2014 with a good word of mouth. Dil Vil Pyaar Vyaar movie shooting has been done in Punjabi states including Chandigarh and nearest places of Delhi. Major shooting has been done in villages of Punjab state. It has been directed by Manjeet Mann and Ex. producer of the movie is Kanan Dhawan. Dil Vil Pyaar Vyaar is releasing under the banner/studio Sai Production house. We have more info for our viewers regarding this film. Being a family drama movie, it is obvious that the star cast is going to be humor filled up and familiar. Film associates much popular Punjabi cinema names like of Gurdas Maan, Rajiv Thakur etc. leading Punjabi Singer Gurdas Maan is playing main lead role in Dil Vil Pyaar Vyaar Punjabi movie. Neeru Bajwa is play main female lead role in upcoming Dil Vil Pyaar Vyaar movie. She is female pair of Gurdas Mann hero. The other supporting stars are Jassi Gill, Shruti Sodhi, Manav Vij, Khushdeep Maan, Meher Vij, Rajiv Thakur and Raj Jhinger. Till now the plot of Dil Vil Pyaar Vyaar movie has not been revealed anywhere but seeing the trailers and the posters of the movie we can guess that it is family and drama movie from Gurdas Maan. In the movie Gurdas Maan and Neeru Bajwa play ultimate acting skills in interesting characters. Gurdas Maan is back in Punjabi movie after the 4 year and he is one of the leading stars in Pollywood (Punjabi) industries. Music of this upcoming Punjabi movie Dil Vil Pyaar Vyaar has been given by the well known musician Jatinder Shahand lyrics has been given by Gurdas Maan, Gurpinder Singh, Kumaar. Soundtracks of the movie are awesome and are very catchy. Music has already started gaining audience positive response in Punjab. Gurdas Maan was recently seen promoting his upcoming film Dil Vil Pyaar Vyaar on Indian television also on the comedy show Comedy Nights with Kapil. 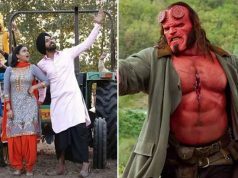 It shows that the star cats and the film makers are busy in promoting their film not only in Punjab dominated areas but also among the Hindi movies following audience too. First official trailer of Dil Vil Pyaar Vyaar was released few days back. Audience really loved the characters as shown in the trailers and the dialogues are also very suitable. Viewers can easily watch the trailers of this film on YouTube. As the film is releasing on 2nd week from today so it is clear that there is enough time for the star cast to attract maximum audience to go and watch their film. 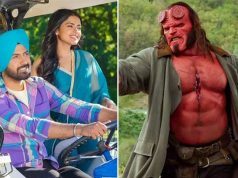 We will update you Opening Day Collection Report of Dil Vil Pyaar Vyaar as soon as the movie gets released so don’t go anywhere and stay tuned for more interesting updates.